Napa Valley beckons you with a quick plane ride and the promise of a spectacular and romantic get away weekend. Set your sights high with a balloon trip over the vineyards in this grape excursion, as you sample some of the best wines and cuisine in the world. 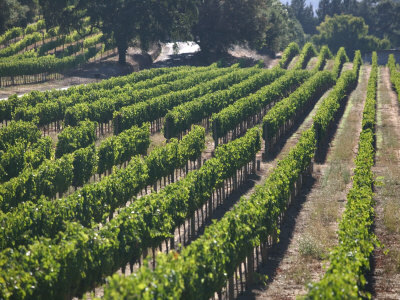 In Northern California, there are several reasons that the area’s grapes provide some of the best wines in the world. It’s the soil, it’s the cultivated vines that tender the grapes, and it’s the people. The generosity of spirit of Northern California planters has lent itself to a legendary reputation and remarkable set of towns in the Valley. The area hosts travelers every month of the year, from the fall harvest time to the cool summer days and nights. It’s beautiful country all year round. To get an authentic perspective of the area, think big. Think high, too. In Napa, ballooning will not only lift your spirits, but also lift you into the clouds above the fruitful vineyards. If you’re afraid of heights, it’s obviously not for you. Yet, if you have a sense of adventure, and want to experience all your senses at once, go ahead, jump into the basket. Ballooning can be done all day, but I recommend you do the first ride of the day… to watch the sun rise. At six a.m., you prepare for lift off. And suddenly you’re about 5,000 feet up in the air. You’ll go around the valley in less than two hours. If you’re lucky, you’ll swoop down low in between the vineyard fields, close enough to actually reach out and touch the grapes in season. Afterward, you can enjoy a Mimosa and breakfast at one of the nearby eateries or enjoy a the spread your ballooning company has provided. From there, you’ll have worked up an appetite to go wine tasting. Chardonnay, Pinot, Merlot, sparkling and more, there is a superb wine selection to suit even the most sophisticated palette. With the hit film, Sideways, shot in the wine country, the area is more popular than ever. 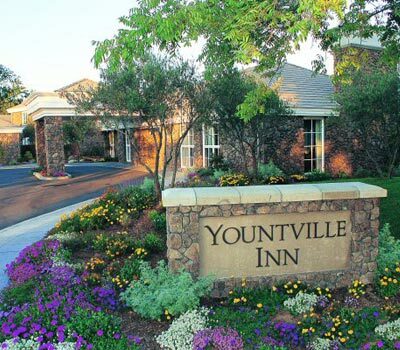 For example, there is a very special town called Yountville, which could be overlooked or forgotten anywhere else in America, yet because it is surrounded by the mountainous topography of the area and benefits from temperate weather, it has become a hot spot in the Valley. Why? Because of the eight nearby wineries. 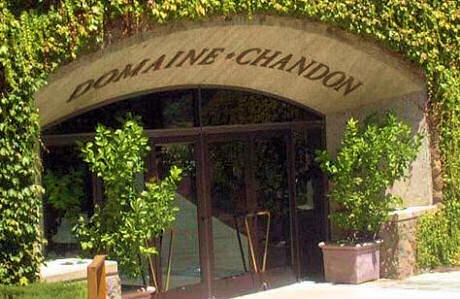 The famed Domaine Chandon vineyard and winery was created to help you embrace your inner bubbly lover. It comprises picturesque grounds, a four star restaurant and boasts being the leading sparkling wine producer of Napa Valley. Take the VIP tour to see how the wines are made, vinted, aged and served for an insider’s look at the best bubbly in the country. The restaurant, especially if you sit on the terrace overlooking the Valley, is a one-of-a-kind experience. Superior service, stunning food and, of course, the perfect wine with each course made it a memorable meal. After beginning with a fresh green salad or tasty cold coup, you can’t go wrong with the seafood, or beef dishes that are their specialty. To continue your wine tour, other wineries nearby include Goose Cross Cellars, Bell Wine Cellars, Elyse Winery, Havens Wine Cellars, Koves-Newlan Vineyards, Hoah Vineyards, Trefethen Vineyards, and the Laird Family Estate. For your other culinary exploits, the city of Yountville has some of the best food in the Valley. Hurley’s serves seasonal cuisine with a dash of Mediterranean elegance. Bouchon is a classic French bistro. Bistro Jeanty also serves traditional French cuisine; while the Napa Valley Grille serves more seasonal California fare. And, of course, there’s five-star The French Laundry with its year-long reservation list. Unless you are a Number One box office movie star, you’ll need good luck securing that table in the corner. If you want to really have a relaxing experience, try some of the spa treatments at the Villagio Inn and Spa. From state-of-the-art facials to a wide array of massages, you’ll leave there feeling like a new person. So, any excuse you can find to visit Napa, do so and create your own great, grape escape.